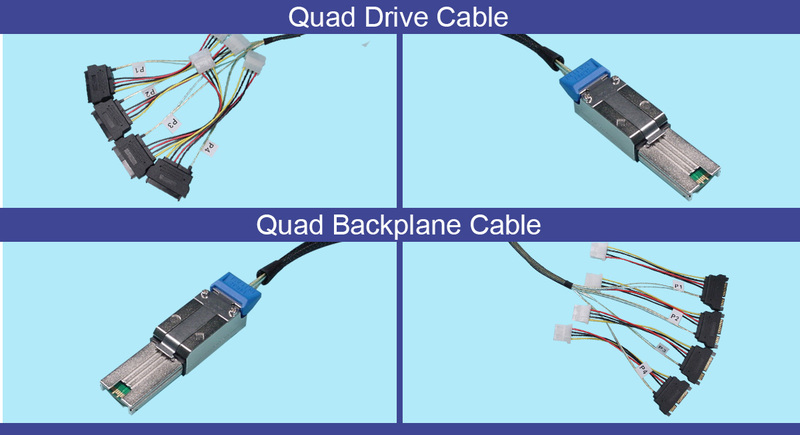 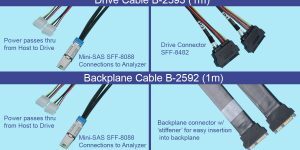 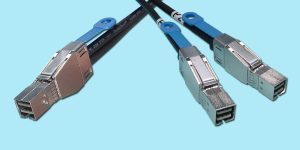 We offer the SATA Analyzer test cables in (2) styles: Dual-Drive and Quad-Drive configs. 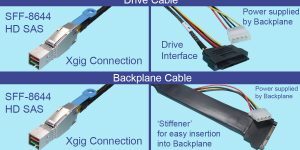 Both styles have the SFF-8088 ‘Mini-SAS’ connector on the Xgig end, and either the Drive connector or the Backplane (Host) connector on the other end. Both cable assemblies have 5v/12v power cords to supply power to the Drive directly from the Host. 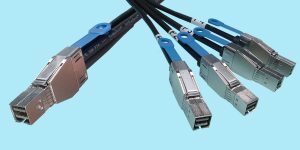 Available in .5m length only.